Clipping, or shearing, is much like dancing with a sheep. The skill is to always keep the sheep off balance and comfortable so that they stay still and calm throughout their haircut! 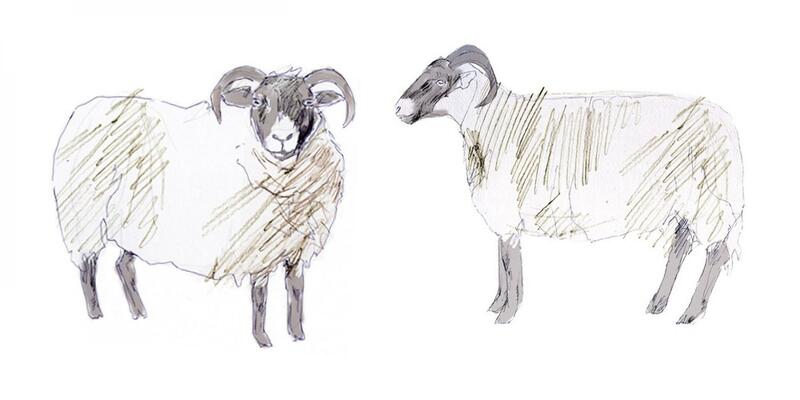 Our Blackface sheep are perfectly suited to the Scottish hills in part due to the fantastic insulating and waterproofing quality of their wool. This breed of sheep need to be sheared once a year as they do not naturally shed their wool. We shear, or clip, from mid-June into July when the sun is warm on their backs and the wool has started to "rise". 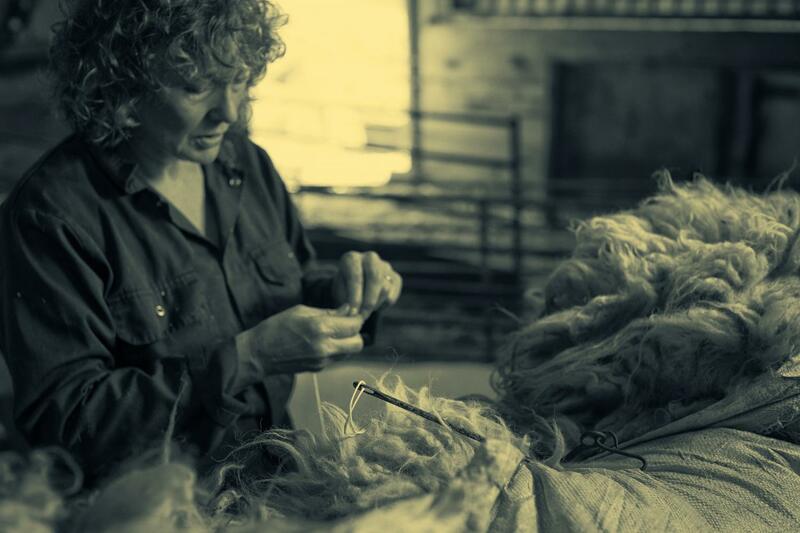 Shearing is an skilled art learned over many years of patience and practice. Done properly it is almost like a dance with moves allowing the shepherd to keep the sheep off balance while they carefully move the clippers in a memorised, age-old sequence. 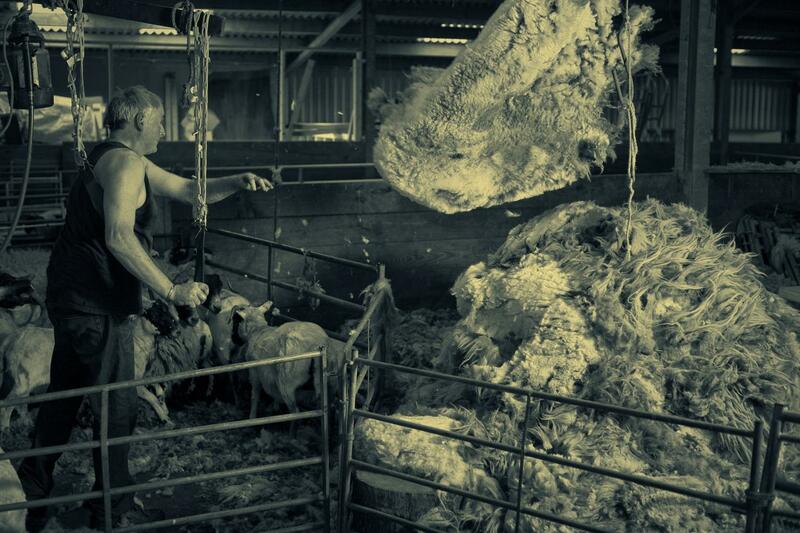 Cutting through the new wool or "rise", the shearer removes the fleece in one piece with no harm to the animal. We start in June with the 400 hoggs (one year old sheep) being clipped for the first time. By that time they will have grown an early "rise" - a thick layer of new wool between the skin and the old wool. We need to wait until July for the ewes to produce this rise as their lambs at foot have made significant demands on their wool growing resources. My job is to roll and pack the fleeces into giant wool sacks or 'sheets' (about 40 in each one). The fleeces are laid out on a table before the sides are folded in, rolled and then tucked to allow for ease of sorting into different grades later. The sheets are stitched shut, labeled and sent off to the British Wool Marketing Board in Galashiels. Galashiels has a long history for grading and processing wool. Although most of the woollen mills have now gone, the wool still gets graded and baled here for further processing. The first process at the wool board is sorting. The fleece is sorted into grades by people who have developed a keen sense of touch. They sort the fibres according to fineness, length, and colour. Blackface fleeces like ours have fairly course wool and it is used mainly for natural carpeting, mattresses and eco-insulation for homes. Wool is now more important than ever. With an increasing awareness of microfibre and plastic pollution, wool provides an important and natural, biodegradable alternative. Check out Campaign for Wool. Interested in slow fashion? Believe fashion should be produced in a sustainable way? Check out Wool And The Gang, started by two Central Saint Martins textile design graduates, who are passionate about changing the way fashion is created and consumed using wool!